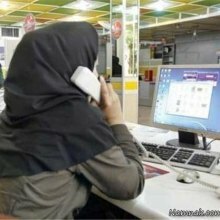 The Ministry of Communication and Information Technology supports women’s creative and innovative activities, the telecom minister Mahmoud Vaezi said here on Tuesday. The ministry is ready to support women who are interested in starting an electronic business financially and technologically, he added. Since social networks are developed, the world has changed its viewpoint about electronic businesses, ANA quoted Vaezi as saying. Women take on positions as ICT ministers and managers in many countries, Vaezi noted, adding the government gives priority to online businesses in line with the charter of citizenship rights and the goal of decreasing digital gaps. The government has made efforts to increase the number of capable women in managerial posts different ministries, the minister of communication reiterated. The rate of female managers has increased 189 percent in the current administration – which took office in August 2013 - compared with the previous administration, he added.